Last week, we reached a major milestone becoming the number one online TV guide and online aggregator with 500 thousand likes. Yidio strives to go build a deeper relationship with our community, beyond the one-time social interaction, both on our website and on Facebook. We want to encourage engagement for TV fans so they keep coming back to find, watch and share information about their favorite shows, movies and actors. On Facebook, more than half of our fans are regularly active with over 12 million page views per month. Our posts are current, engaging and original but we also understand our community. At our core is a young, influential TV fan that pushes Vampire Diaries, Jersey Shore and Gossip Girl to the top of our trending show charts each week. What is the key to keeping this fickle demographic engaged? Offer original content that people want to interact with and share with others: Our fans click through and comment most on pictures, video shorts, interviews, outtakes and music clips. Anything that stimulates the senses or extends their relationship with the TV show, actor or movie = cha-ching! Facebook has become birthday central for your social graph and this is true for celebs too. One of our recent high volume posts was a simple happy birthday shout-out to Kristen Stewart of Twilight. Get the timing right: Live posting during shows encourages fans to give their opinion and also stimulates tune-in. When posts are current and relevant there is a massive uptick in meaningful feedback. Engaging our fans is easy when we post thoughtful, thorough episode recaps promptly after a show airs. These recaps also help to drive viewers to episodes they may have missed and increasing catch-up streams. Some of the more general rules of Facebook also apply, for example posting during off-hours and on weekends results in higher engagement. These are the times when TV fans are actually thinking about, or watching TV and movies — during their leisure time. Stir up some controversy: There’s nothing like a tidbit on Jersey Shore or a personal milestone in an actor’s life to help stir the pot. People either love it or they despise it and this draws out the emotions and comments. Reality TV shows, and especially the competitive reality shows like American Idol draw a lot of interaction because people feel a connection with characters they can relate to. When you combine real time posting with a reality show comment or question fans will respond. Ask questions: Fans want to have a voice when they are passionate about the entertainment they are consuming. A prime example would be the post that drew the most responses on Yidio’s Facebook page to date. We asked Yidio fans if and how they’d be watching the Royal Wedding and nearly three thousand viewers chimed in with their thoughts. People want to be heard, all you have to do is ask! Reward fans for their engagement: Rewards don’t have to be tangible but giving back is always a great way to encourage interaction. 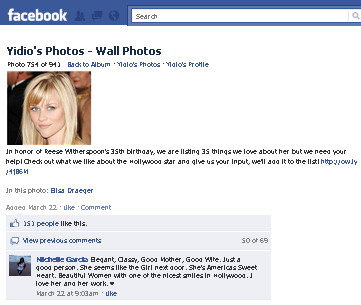 Yidio posted an article around Reese Witherspoon’s 35th Birthday this year. We prompted Reese fans to tell us on Facebook what they loved most about the actress. We took feedback from the fans and added it to the article, pulling the most thoughtful responses from hundreds of submissions. It was fun making the fans guest contributors! The five step guide to cutting the cord over at NewTeeVee, makes it sound easy to get rid of your cable or satellite subscription. But while evidence is mounting that the number of people ditching their subscriptions is climbing, it remains incredibly difficult to replicate the “lean back” experience. In fact, so difficult, that it’s still a very early adopter segment. Even though according to the Street, The Convergence Consulting Group projects that by the fourth quarter of 2011, the number of cord cutters will reach 1.6 million or twice the audience they predicted in 2009, that’s still a very small number of cable tv subscribers or internet users for that matter. 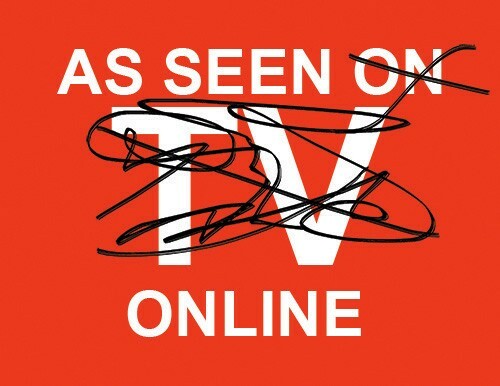 As this phenomenon unfolds and the industry responds, cord cutters and internet video viewers alike, need better tools for find and watching the available TV content out there. 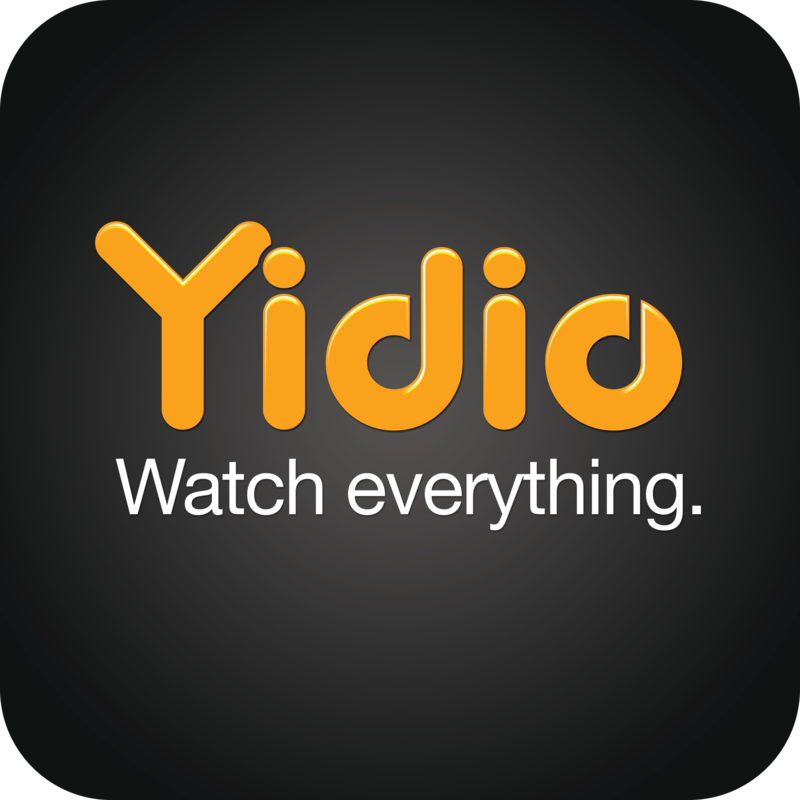 For people cutting the cord to save money, Yidio credits offers another option to watch premium content for free via our Yidio Credits program. Amazon adds another service to the array of choices for people turning to online video and streaming TV shows, Amazon yesterday introduce Amazon Prime Instant Video. A great option for Amazon Prime subscribers who are already paying $79 per year for delivery, but its value is limited by its slim selection at launch. For consumers its sort of like having a video store down the street since many of the movies are library TV shows and movies. Yidio indexes Amazon Prime content just like Amazon On-demand content, so Prime members using Yidio will also be able to access everything they’re entitled to see. For the industry, one of the more insightful commenters has been Glen Rayburn of Business of Video over at Business Insider. Netflix’s lead in content is unlikely to last very long as Amazon brings more content to its instant service, and leverages its infrastructure to provide better quality. Just how divergent the two can become with regard to content, pricing or quality remains to be seen. But the new pricing scheme is presenting another test case for multiple revenue stream (subscription and vod/ad-supported) acceptance by studios and networks.